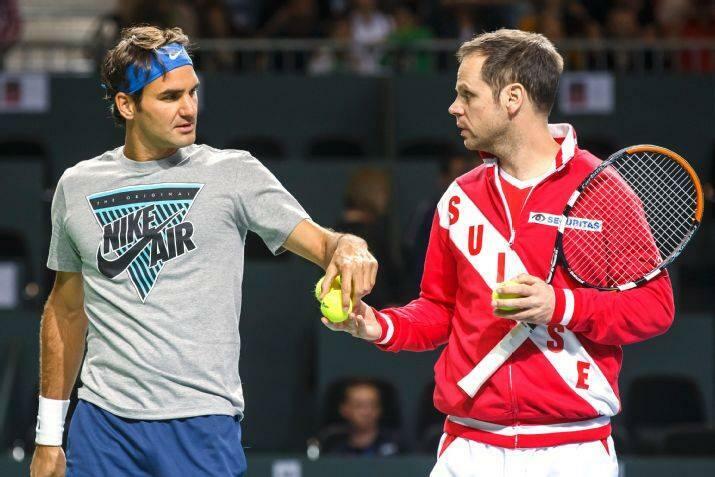 Roger Federer joins Stan Wawrinka in representing Switzerland as they face Kazakhstan in the 2014 Davis Cup quarterfinals. The 2008 Olympic gold medalists will seek to make modern history, as the Swiss have not reached the semifinal stage since 2003, when a young Federer lost a five setter against then world #1 Hewitt. 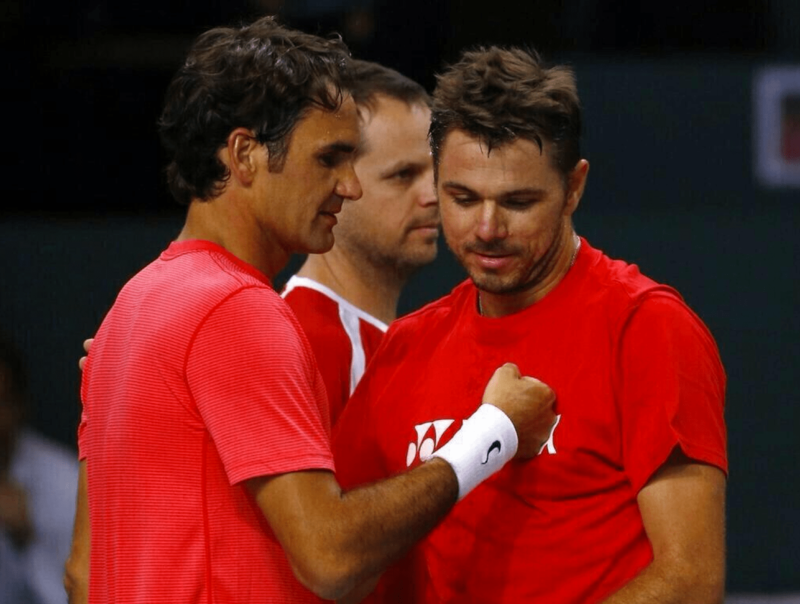 With Wawrinka now a grand slam champion and world #3, and a healthier Federer back up to world #4, there is a prime opportunity at this stage in each of their careers to “double” handedly lead Switzerland deeper into the 2014 Davis Cup. Both players took time for behind the scenes interviews after their practice session earlier today.